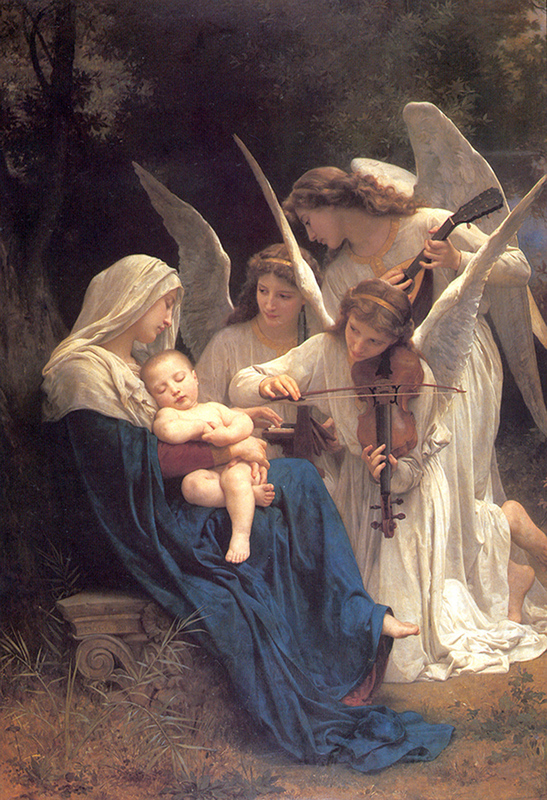 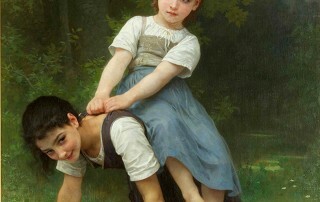 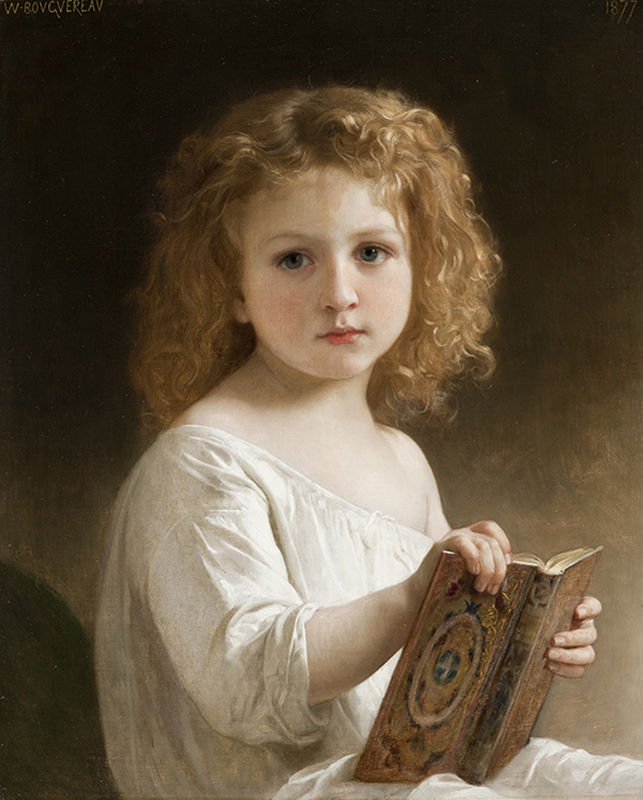 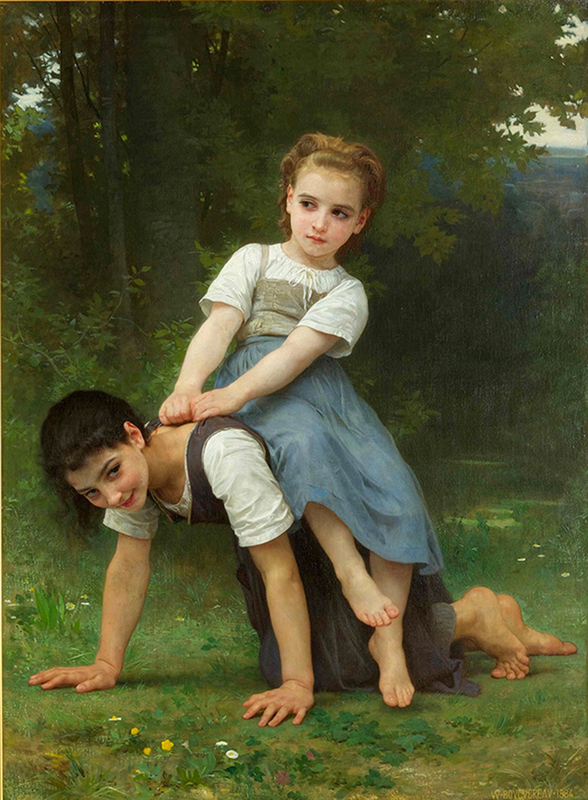 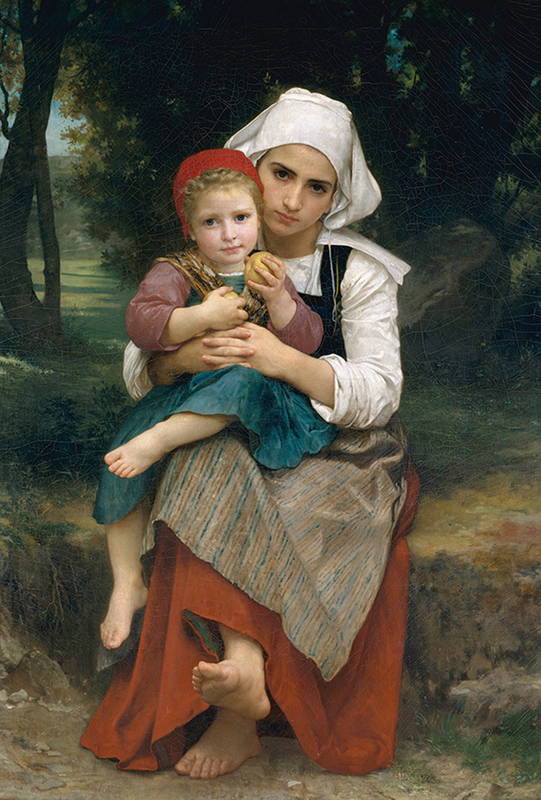 William Bouguereau was one of the most successful painters in France during his lifetime. 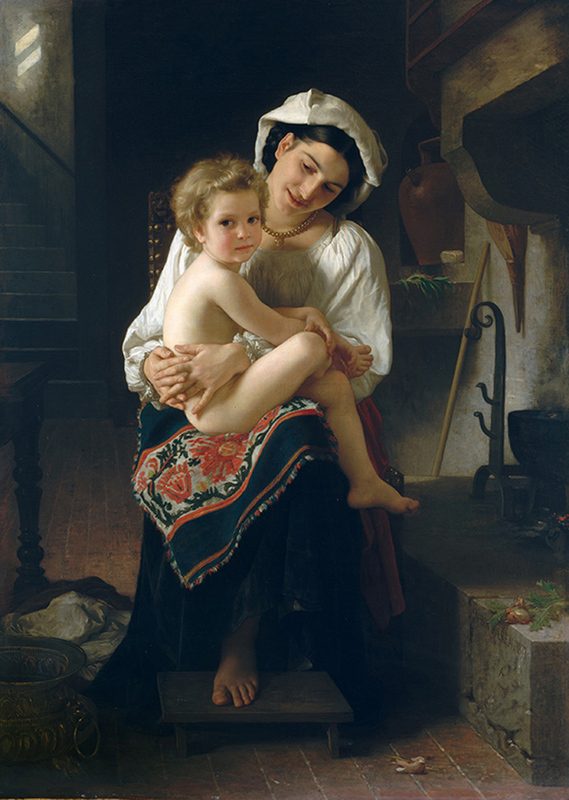 Decorated by royalty and patronized by wealthy families in Europe and America, he became famous for his carefully designed and meticulously rendered paintings of popular themes, including multiple variations of peasant families and depictions of motherhood and the innocence of childhood. 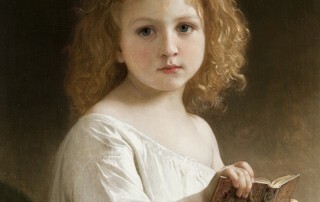 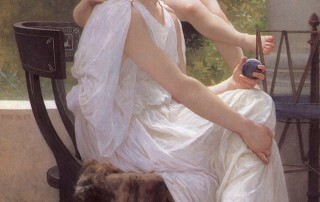 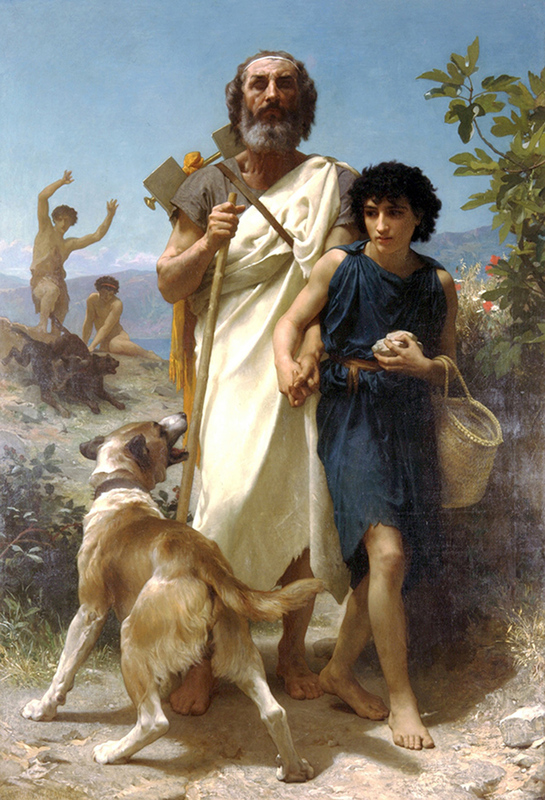 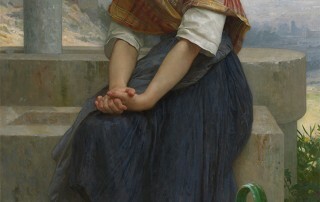 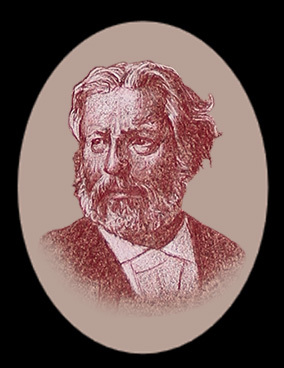 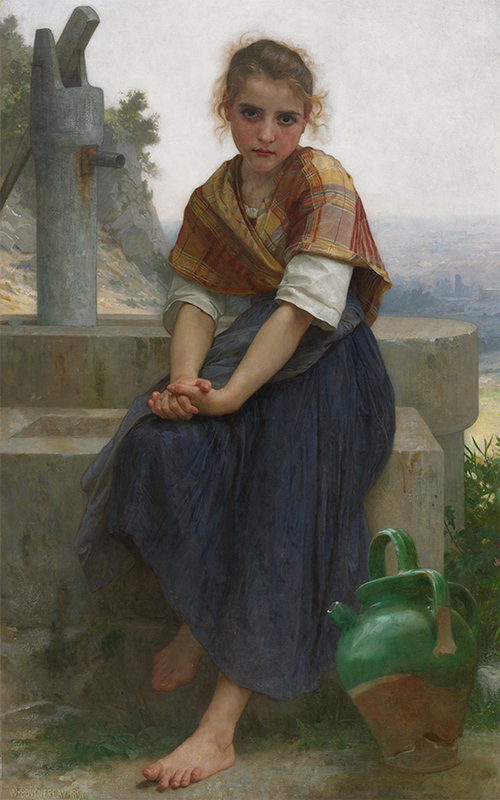 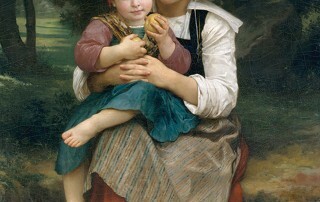 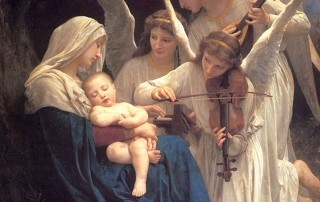 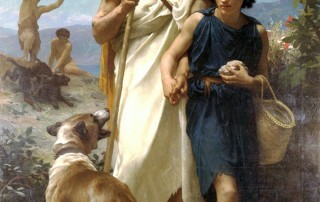 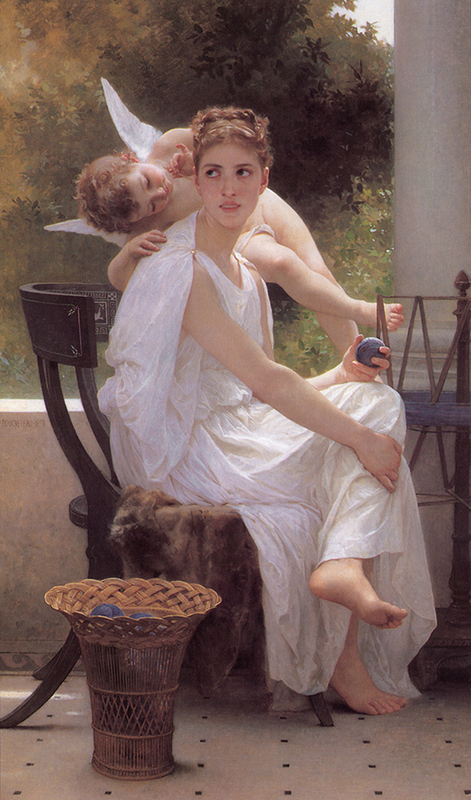 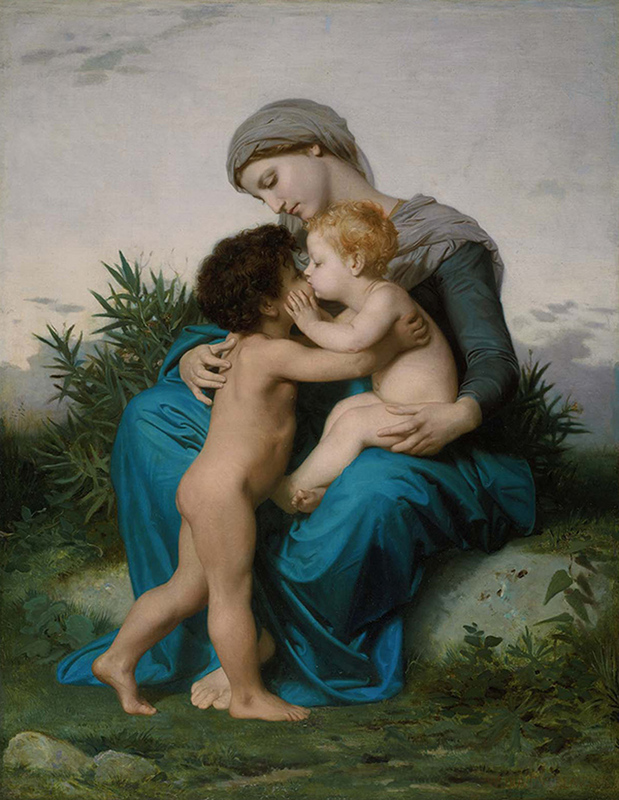 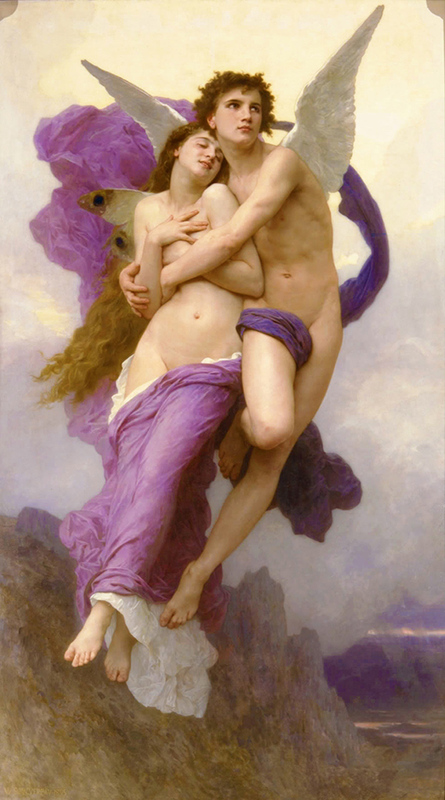 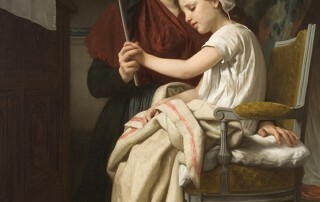 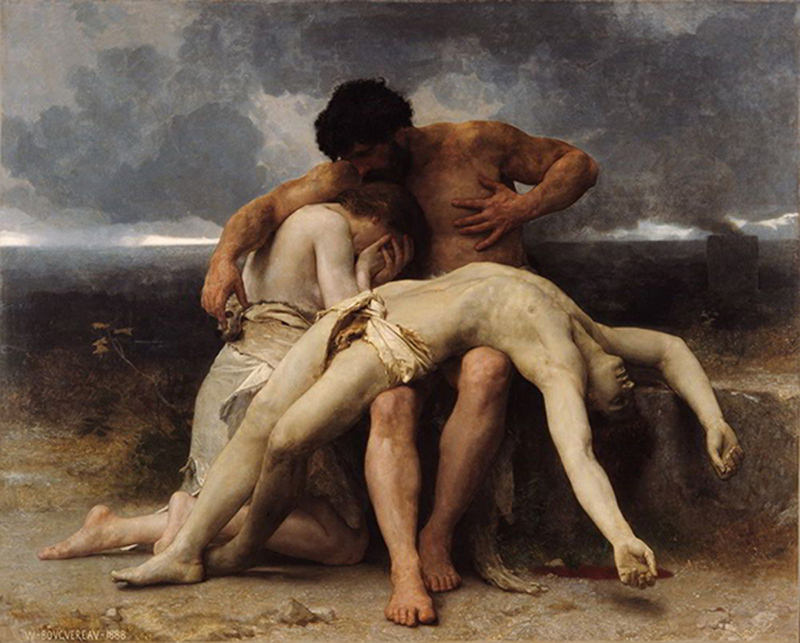 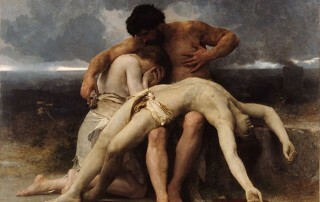 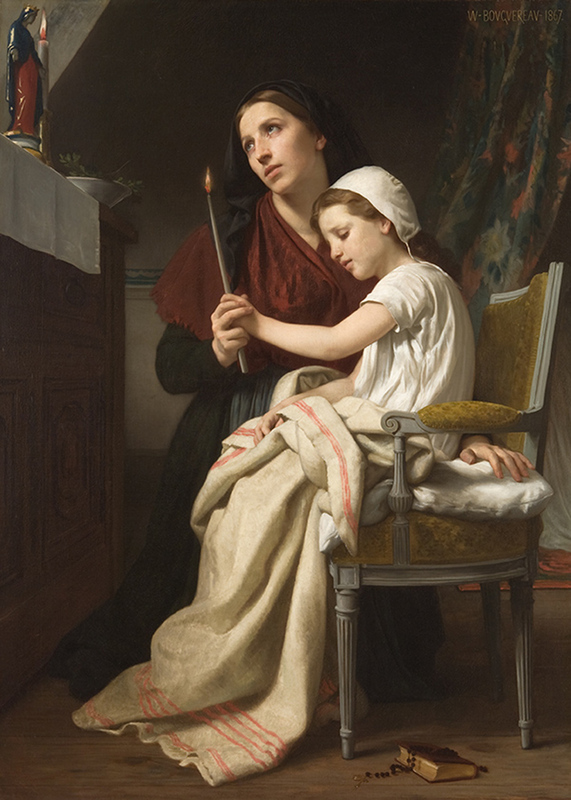 Vilified by critics for his sentimentality but embraced by an enthusiastic clientele, Bouguereau was a tireless worker, producing over 800 paintings in his lifetime while also maintaining a thirty-year teaching career at the Académie Julian and the Ecole des Beaux Arts, teaching both men and women, 220 Americans among them.